Summary: All his life Peter has seen Nathan as his hero, and a chance to spend some time with him is better than anything else his brother could offer – only with Nathan, it usually comes with a price. Warnings: Near-death experience, language, underage drunkenness and alcohol use. Disclaimer: The show, its characters, its places, and everything else belong to Tim Kring and the other respective creators and owners of the TV show ‘Heroes’. I have made no profit by writing this story, and make no claim over the show. Feedback: Keep it coming – comments are more than welcome. I was first planning to extend the story all the way to the era of the show as well, but in the end this little piece of work fit better on its own, and there was no reason to continue it. I hope you all enjoy! There was this one time when Peter almost drowned. It was silly, actually. Nathan had promised to take Peter with him for the weekend so that they could go fishing and do all the stuff that brothers did. What he didn’t tell their parents – or Peter for that matter – was that a bunch of his friends were about to join them in their cabin by the lake. Mom and dad had been so happy that Nathan was showing interest (in his younger brother. Peter had been delirious at the thought of spending time with Nathan, who was simply amazing in his eyes. Nathan, on the other hand, explained to Peter while they drove to the cabin that he had merely taken him along to make mom and dad happy. No matter, Peter thought. He was happy nonetheless, because he could spend time with Nathan, with no one else there to interfere. That, of course, didn’t happen since another two cars full of Nathan’s friends drove in soon after they arrived. They were a loud group, and didn’t think much of Peter, who was skinny and too young in their opinion to be any real fun. They gathered down at the shore line with their drinks and stereo and in their funny swimming trunks. Peter took that as a sign and went to swim himself. The day was sunny, the water was clear, and Nathan was too busy with his friends to tell Peter to stay closer to the shore every other second. Not that he really needed to warn Peter; he knew how to swim. He wasn’t a kid anymore. Later that night, they had a barbeque. Peter was enjoying himself, since the attention he got from the older boys seemed to be proportional to the amount of empty bottles lining the porch wall. By the end of the night, he was sitting with the older boys, joking with them – although they were laughing most of the time at things Peter didn’t find all that funny. But that didn’t matter. They all knew he was Nathan’s brother, and even Nathan seemed content to have him around. Peter knew he shouldn’t, but the boys were so nice, and funny, and they had already allowed him to stay up way beyond his usual bedtime. And besides, every other boy near by – minus Nathan, who had just disappeared inside a moment ago – seemed to like the idea, so when someone thrust a cool can of beer into his hand, he took a brave sip. The boys laughed some more. Peter didn’t particularly like the taste, so after his audience had lost most of their interest, he sipped more carefully, trying not to shudder. After he finished the beer, someone gave him a bottle of something else. The smell made the hairs on the back of his neck stand at attention, but with the encouragements pouring his way, he took a mouthful. That was enough for him, certainly, the liquid burning his mouth and tongue and throat, and the boy who had given him the bottle took it away to pass it around some more. Nathan returned a while later, but no one mentioned Peter had been brave enough to drink, so he said nothing either. It was like a grand conspiracy, and he felt important to be part of it. “Tired, Pete?” Nathan asked gently when Peter had fallen from his chair because he was laughing so hard. “Let the boy have some fun, Nate!” someone called before Peter could answer, and that was that. Peter picked himself up again, finding it a lot more difficult than usual, but maybe that was part of the fun. After all, some of the older boys didn’t look all that steady on their feet either, and no one was saying a thing about that. “Let’s go for a moonlight dip!” someone suggested. Everyone headed to the shore then. There was some water wrestling, shrieking and laughing, and clinging of bottles since some had been carried down with them. Peter wanted to go swimming again, because the water was nice and warm, and so he dove forward, submerging for a moment. It felt as if he had been swimming all day, his body slow and heavy, but he fought it, and swam for a bit until it suddenly felt as if he couldn’t take another pull, and his feet were pulling him underwater. He struggled his way to the surface, breathing the air, sputtering a little when he went under again and hadn’t managed to finish inhaling. Up he kicked again, although his body was so tired now, and his arms were reluctant to do the motions he tried to command them to. His chest felt tight as he held his breath, trying to resurface. He got there a few times, but each gasp for air was more desperate than the last. Somewhere in his brain it registered that he was actually drowning. Something gripped him suddenly, pulling at him. Maybe it was an octopus with huge tentacles, or some other kind of hungry sea-monster… Then suddenly there was air again, and he coughed and coughed because it seemed he was full of water, and something kept drawing him still, pulling in unsteady motions. He was too busy clenching his eyes shut and coughing to look, though. Voices were coming closer. Peter wasn’t sure, but maybe Nathan was shouting somewhere – or maybe he was very near, Peter wasn’t sure. He was busy trying to breathe, especially when the something that was pulling at him hoisted him up, dragging him out of the water. Briefly Peter felt the bottom of the lake beneath his feet, the slight scraping of the sand blissful. “Pete!” Nathan was shouting at his face when Peter finally opened his eyes, still coughing. Someone was slamming a hand against his back, making his spine and ribs ache, not to mention his already inflamed chest. “My God, Pete,” Nathan went on, touching his face and pushing back the wet strands of his dark hair. Peter sort of nodded once he decided Nathan was trying to ask him something. He was getting cold now, shuddering, and he still felt like a pile of jelly sitting on the beach, unable to move a limb. He tasted salt in his mouth, his throat and nose burning, but as long as there was air, he was happy. Nathan picked him up and took him to the cabin, wrapping him into a blanket and kept asking if he was okay, if he was hurting somewhere, if he was able to breathe. Peter sort of glared at him, since at least the last one should have been rather obvious; he wasn’t turning blue, was he? The night quieted down after that. Nathan’s friends occupied chairs and couches and the other two bedrooms, and Nathan stayed with Peter the whole night – which was almost worth the trouble of drowning, Peter thought, since now he had Nathan all for himself even while the cabin was full of other boys. He felt special. “You scared me, Pete,” Nathan told him in the darkness of the room. He smelled a bit of the alcohol he had been drinking all day, but that was mostly replaced with the smell of the same lake water that clung to Peter, too. It was a slow realization, but Peter suddenly knew Nathan had saved him. That made him warm up inside, and he snuggled closer to Nathan, who for once didn’t tell him that he shouldn’t since he kept claiming he wasn’t a baby anymore. Well, of course Peter wasn’t a baby anymore – he was almost twelve – but it still felt nice to be like this with Nathan, just the two of them. “Sorry,” Peter finally said, though for the time being he didn’t feel sorry at all. “I can swim,” Peter said stubbornly. “I just got tired,” he kept trying. Peter wondered if he should tell Nathan that he hadn’t been tried from staying up so long. He didn’t want to reveal he had been drinking, though, so he just nodded and tried to sleep. After Peter almost drowned, he got a cough, and once he and Nathan came back home – a day early – Angela took him to see a doctor. They took some blood from him, checked his temperature, and did all kinds of other tests. Somehow, someone figured out what had happened. Peter had never heard his mother scream quite like that, and Nathan surely had never looked as shocked or embarrassed. Luckily, dad hadn’t come with them. “But Mum,” Peter tried from his hospital bed, “Nathan saved me.” To him, that was all that mattered. “I’m sorry, Ma,” Nathan said, looking at the tips of his shoes. “You had better be,” their mother snapped, and breezed out of the room to talk with the doctor. “It’s okay, Nathan,” Peter told him. She often overreacted at things that weren’t half as serious as she thought. Nathan just stared at him, and it seemed that made all the difference because Nathan came over to him, sat on the side of the bed, and hugged Peter’s smaller form close to his own. “Why did you have to drink?” Nathan whispered against his shoulder, but this time it no longer sounded as if he was blaming everything on Peter. This is just lovely, really. very adorable portrayal of Peter as a innocent younger sibling. And I love the way you describe their relationship so normal and realistic. I'm looking forward to see whatever you write next for these two! This was supposed to be longer, but then, it worked better this way, simply sticking to the past and not stretched all the way to the future as well. Aw, I liked this. Very sweet. 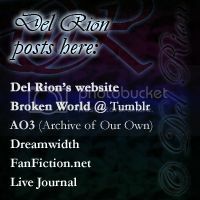 Great fic! you are a genius at writing any kind of pete/Nathan fanficz! Peter is my favorite, and in a way the brothers are my favorite ship, and... well, I do try my best, although I think I'm still "getting there", so to speak, with Heroes fics.